Yesterday we drove to Albuquerque from Durango after enjoying ourselves in Kathy's home town for a few days, first with her high school reunion, and subsequently having the usual quota of fun and food with her brothers and their wives. 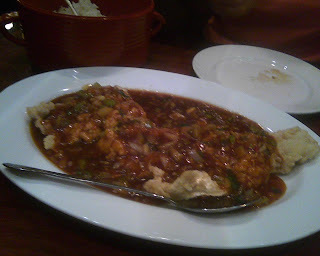 We dined last night at Budai, a fairly new Taiwanese restaurant, on brother Tom's recommendation. The place gets some great reviews on the foodie sites we visit: urbanspoon, Yelp, Chowhound, Trip Advisor. We talked to the owner, who said they'd run a restaurant in Washington DC for 20 years before moving to Albuquerque. We enjoyed it. The highlight of the evening was probably the sauce on this fish dish, very similar to a Singapore Chilli Crab sauce, but without the chilis, if that makes any sense. 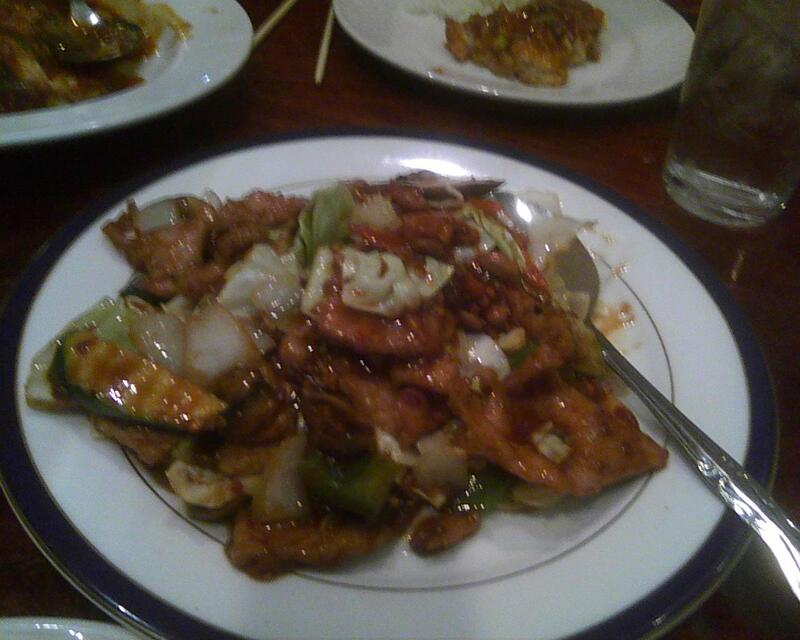 This twice-cooked pork dish was also tasty. It was bland at first but when we asked for some chili oil the owner insisted on returning it to the kitchen to have it spiced up. Maybe one more meal is in the works today before we board. From the town of Albuquerque. That we'd send this from Albuquerque. Concluding we're a pair of turkeys. But nonetheless we feel perky. Our only wish in Albuquerque? Your Mom had named you Al B. Kurki.